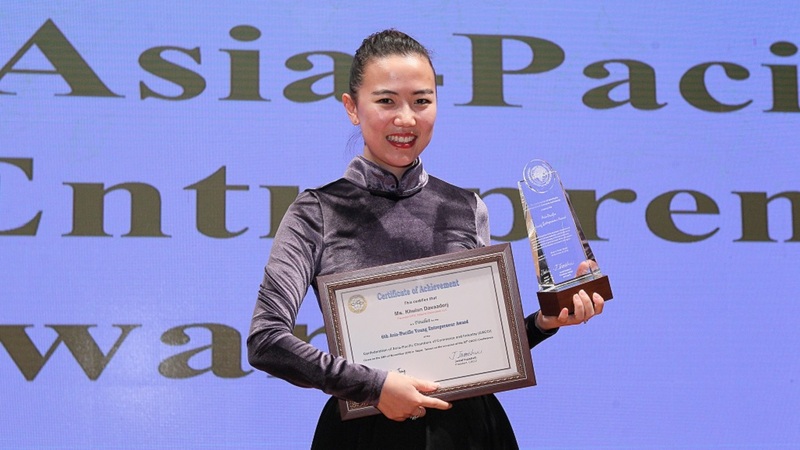 Taipei – Khulaan Davaadorj from Mongolia won the 6th Asia Pacific Young Entrepreneur Award presented at the CACCI Conference gala dinner held on November 24 in Taipei. Khulan is the Founder and CEO of Natural Essentials LLC, Mongolia’s first organic skincare company. With Mongolia’s dry climate and extreme winter, Khulan started researching about skin care and how to soothe her sensitive skin given her home country’s harsh weather condition. She took up a diploma course in organic skincare and immediately found her passion in natural products. Her business started in the kitchen, whipping up a concoction of various oils, milk and other organic products, and later on creating a brand called LHAMOUR in 2014. In a span of 2 years, the brand gained attention from locals and tourists alike. The company produces all Mongolian-made skin care items using Mongolia’s home grown natural ingredients. With Lhamour, Khulan is able to create jobs for women and reach out to the younger generation by doing volunteer works in schools. She endeavors to one day take the brand to the global market and provide natural and healthy Mongolian-made skincare products internationally. 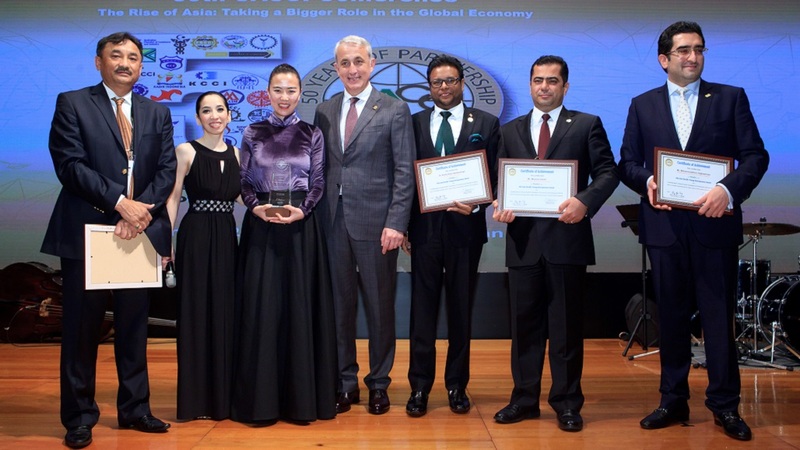 The 6th Asia Pacific Young Entrepreneur Award is a project of the Young Entrepreneurs Group of Asia Pacific (YEGAP) of CACCI which aims to recognize excellent young entrepreneurs in the Asia-Pacific rim who not only are successful in their business but also advocate corporate social responsibility for the good of their country. 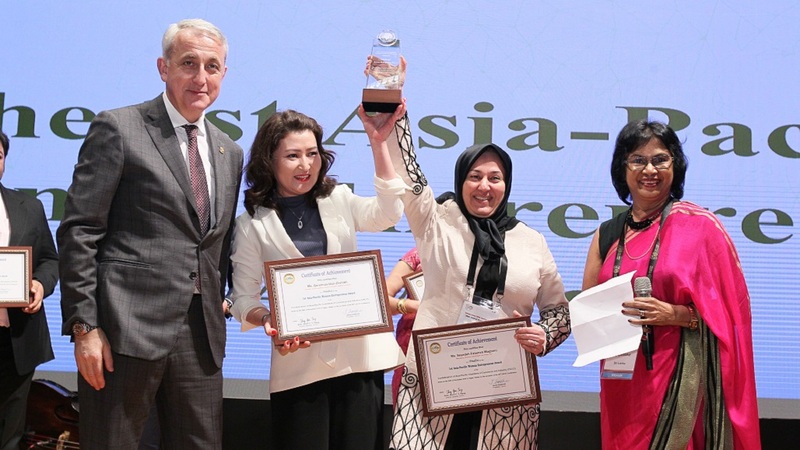 The other four award finalists are (1) Mr. Masoud Jamali, Managing Director, Tanab Naghshe Jahan Sepahan (Iran); (2) Mr. MohammadAmin Hajkazemian, Managing Director, Sahra Ruby Co-AHT, TPW Fine Foods Co. (Iran); (Mongolia); (3) Dr. Amila Ishan Kankanamge, CEO, E3X Global (Private) Limited (Sri Lanka); and (4) Ms. Tina Y. Lo, Vice Chairman, Industrial Bank of Taiwan. The Chairman of the Board of Judges and Ceylon Chamber of Commerce CEO Mrs. Dhara Wijayatilake announced a tie for the 1st CACCI Woman Entrepreneur Award. The award went to Ms. Seyedeh Fatemeh Moghimi, Managing Director, SADIDBAR Int. Trans. 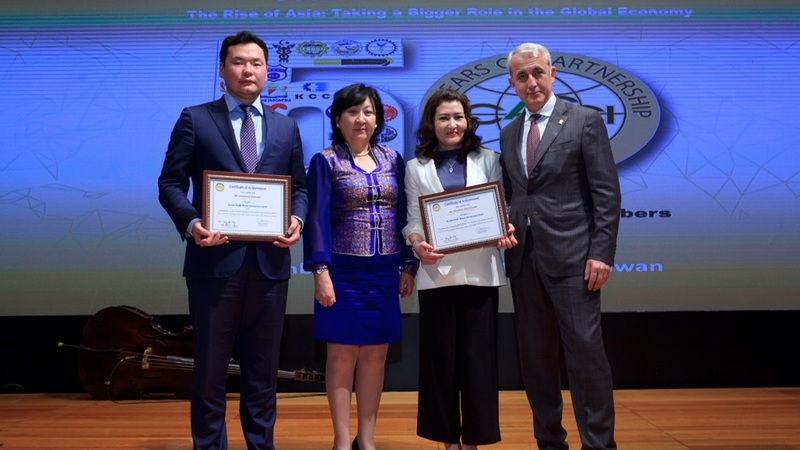 Co (Iran) and Ms. Gerelmaa Ulzii-Orshikh, Founder and President, Landex Limited Liability Company (Mongolia). 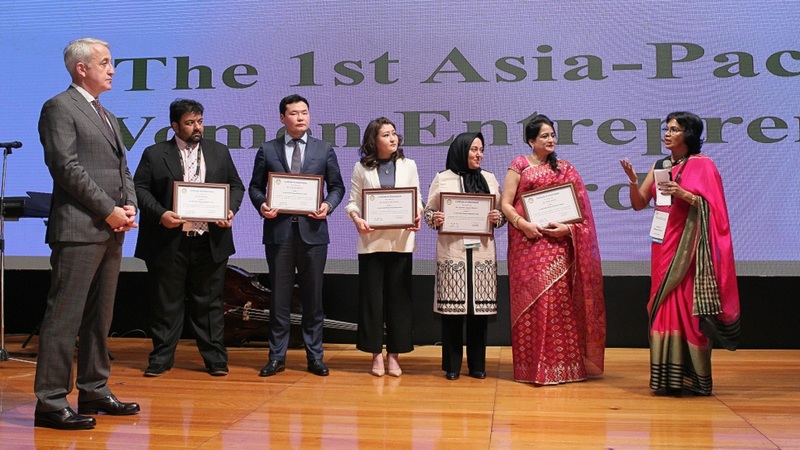 The other three woman entrepreneurs who made it to the final round are: Ms. Selima Ahmad, Vice Chairperson, Nitol Niloy Group of Industries (Bangladesh), Ms. Undarmaa Batbayar, Founder, Bishrelt Group (Mongolia) and Ms. Shireen Khan, Designer and CEO, S S Designer’s World (Pakistan). 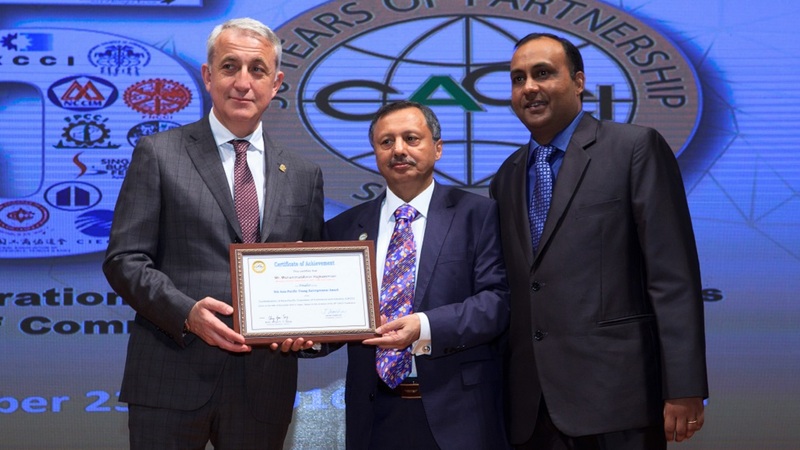 Two local chambers from CACCI member countries received the 7th Local Chamber Awards presented during the gala dinner of the 30th CACCI Conference in Taipei. 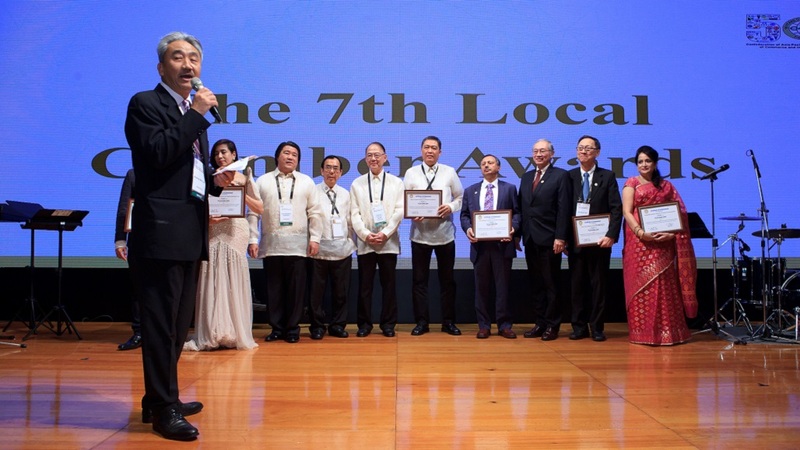 T h e Bangladesh Women Chamber of Commerce and Industry (BWCCI) won under the Big Category, and Negros Oriental Chamber of Commerce and Industry (NOCCI) from the Philippines was proclaimed the winner under the Small Chamber Category. The two chambers were cited for their outstanding achievements in promoting the industrial, commercial and social well-being of their respective communities and their contribution to the chamber movement. BWCCI is the first chamber of commerce in Bangladesh exclusively working on women’s economic and social empowerment. It is a nonprofit, non-political organization established in June 2001 with an enlightened aim to encourage and strengthen women’s participation in the private sector as entrepreneurs through promoting a women friendly business environment. NOCCI on the other hand, is a private, non-stock, non-profit business membership organization duly registered with the Securities and Exchange Commission (SEC) in June 1991. NOCCI performs functions related to investment promotion and investment servicing, networking with various government agencies, and pursuing various advocacies, among others. It is an affiliate member of the Philippine Chamber of Commerce and Industry (PCCI). Chilime Hydropower Company Limited from Nepal won the 2nd Hydropower and Clean Energy Excellence Award. Honorable Mention was given to Rahimafrooz Renewable Energy Limited from Bangladesh. 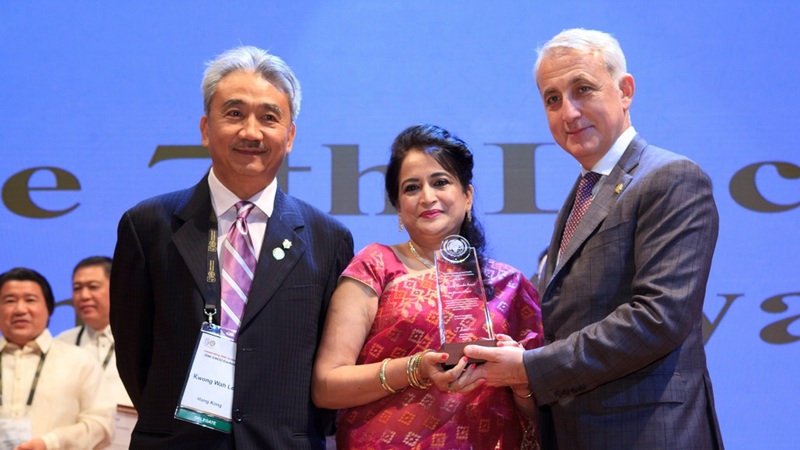 Representatives from the Federation of Bangladesh Chambers of Commerce and Industry (FBCCI) received the award in Taipei on behalf of Rahimafrooz. The awarding ceremony for Chilime Hydropower will take place in Nepal and will be presented by the Chairman of CACCI Asian Council on Water, Energy and Environment (ACWEE) Mr. Gyanendra Lal Pradhan. 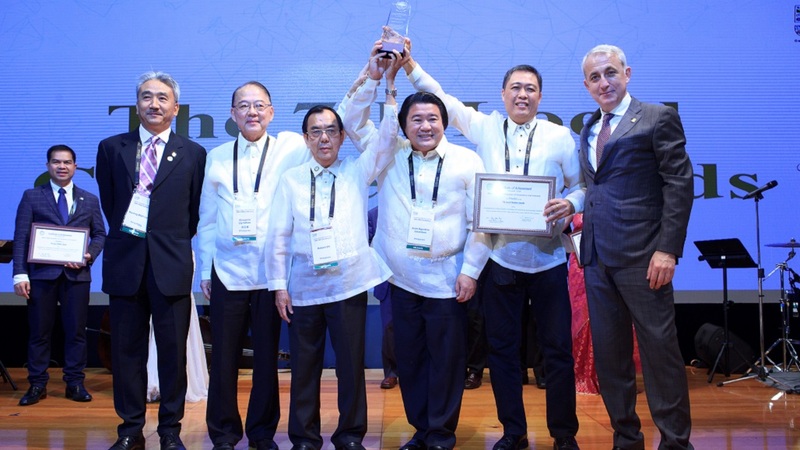 The Asia-Pacific Hydropower and Clean Energy Excellence Award is presented annually by CACCI to an institution that has contributed significantly to the sustainable promotion, support and development of hydropower and clean energy in the Asia Pacific region.